In this class, instructor Steven James takes you through the process of adding impressions into glass using leather stamps and large screws and springs from the hardware store. Steven also demonstrates how to use transparent enamels over stamped metal designs. 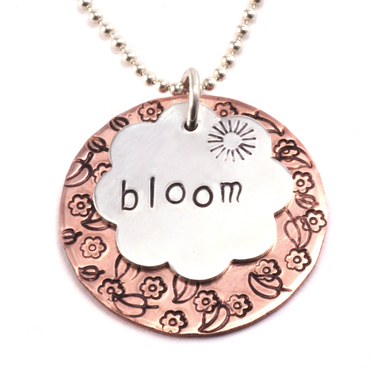 Now you can mix your love of metal stamping, with torch enameling! This class is an intermediate level class, we recommend viewing Torch Enameling, Butane Torch Safety, and Stamping on Metal in preparation for this class. This class has a running time of 34 minutes. Large screws and springs from the hardware store. Kiln Brick - $10.00 - Steven uses a single kiln brick cut into two pieces. Then you can stack them to get the proper firing height. 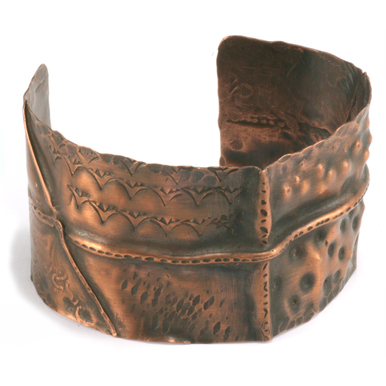 Blanks in copper or fine silver. As always, Steven has a great teaching style and that makes it pleasant and fun to learn. His tips about using stamps and other items to texture and create designs on the pieces prior to and during enameling are really cool. I've learned some new techniques today and that's always a great thing. I look forward to more classes by Steven. 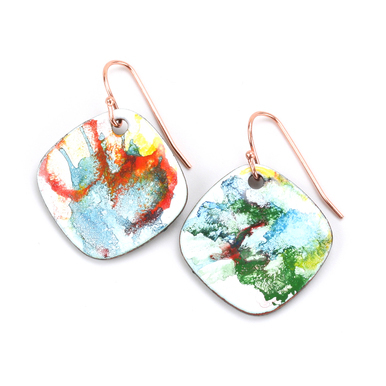 I really loved the torch enameling and impression classes! They gave me so many great ideas...and I am SUPER EXCITED to play with fire soon!! Thanks so much for making this type of work seem like something anyone can accomplish! I LOVE IT!!! Hope to see more classes from Steven in the future! I really enjoyed Steven's Letterpress Enameling. Such great tips & clever techniques. I have been enameling for quite awhile, with preference to kiln enameling.... After watching this video, I am anxious to try torch enameling again! And with Texture & Messages! Whoa! Not sure if Steven has a video on the Thompson's acrylic enamel paints that Beaducation has available, but that would be fun too! Another great Beaducation video, well paced, clear, calm instructions, articulate & friendly. Good News! Another great Steven James class is in the works and it includes Thompson's Enamel Paints. Is it possible to dome the forms alittle before firing on the enamil? You can enamel a domed piece, although specific to the letter stamp project, it will be tricky to get a full letter impression on a curved surface. You'll love Steven James' book, Discover Torch Enameling, which has many projects that include enameling irregular shapes - even wire!